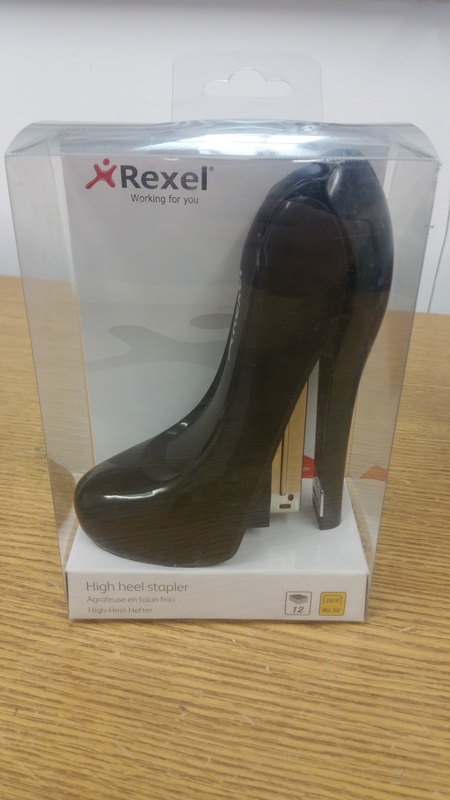 This fun, stylish half strip Rexel High Heel Stapler has a lightweight body with a high gloss finish. It features a traditional top loading design that stands vertically on your desk to save space. The design fits comfortably in the hand and can staple up to 12 sheets of 80gsm paper. This glossy BLACK stapler uses Rexel No. 56 staples (available separately).